When Charles Manson and various Family members landed in jail, they left behind more than just a coroner's nightmare and a hefty dose of public outcry. Movie exploitation has never known grace, and Manson's was a story of seemingly endless cinematic possibilities. His life sentence may end soon as the pseudo-Christ has recently become plagued with cancer. Here we present the most complete filmography of Manson influenced films. New York with Polanski's "Macbeth". Music by Paul Watkins and Brooks Posten. Available on World Wide Video. 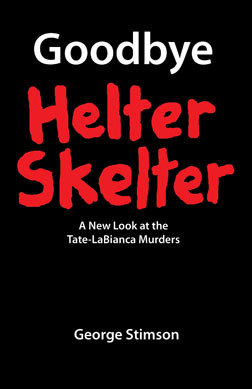 HELTER SKELTER (1976) was a natural for film after the success of the book. Unfortunately (or fortunately, depending on how you look at it), TV grabbed up the rights and the result may be the grand daddy of 70's play-it-safe exploitation, a truly ridiculous film made compelling by over-dramatization in the wrong places, stereotypical characterizations, and an awful fake Beatles soundtrack. Following the book straight, as TV allows, the dons a sterile (albeit opinionated, re: con) view and turns Manson into a caricature of Menace. Steve Railsback as Manson gives a glassy eyed performance of Peter Lorre on mescaline. As Susan Atkins, Nancy Wolfe chews the scenery via catatonic dementia that reaches the cosmos of pop entertainment. Suffering from a logbook of facts, dates, figures, places and people serving as its scenario, the film rarely breathes life or depth into the most obvious places. 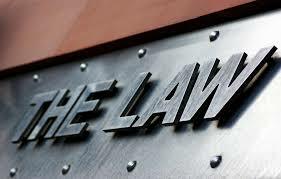 George DiCenzo, for example, plays the straight role of Bugliosi as a grey-area, a navel picking nimrod who'd never be invited to anyone's party. Key Video version runs 120 minutes; original TV version clocks in at 194 minutes. BEYOND VALLEY OF THE DOLLS (1970) Russ Meyer and co-author Roger Ebert were not entirely influenced by the Manson case for their screenplay of the comedic, in-name only sequel to Jacqueline Susann's trashy novel. Their script covers all exploitable angles- quite successfully. The character Ronnie "Z-Man" Barzell (played by john LaZar) is a wild illusion of Manson, while the murders in the film smack of tabloid sensationalism. More interesting is the film as a whole, perhaps the biggest, brashest, most colorful and expensive exploitation film ever made, thanks to 20th Century Fox giving Meyer artistic freedom on the basis of his past films (notably Vixen and Cherry, Harry and Raquel). I DRINK YOUR BLOOD (1971) Amazing, plenty weird effort from writer/director David Durston (Stigma) and producer (Grimm's Fairy Tales For Adults). "Satan was an acid head!" exclaims the leader of a hippie-devil-cult before sending a dog to the slaughter. His troupe, residing in the woods od upstate New York, are an eye sore for the locals. After the youths pester an old man, his grandson injects the blood for a rabid dog into their food. The devil worshipers start foaming at the mouth, take over the town and kill anyone in sight. One girl turns into a rabid nymphomaniac, is laid by a few dozen hard-hats who, in turn, become rabid killers, too. Not to be missed. THE DEATHMASTER (1978) Robert Quarry, late of the Count Yorga films, stars as a Manson-type guru to hippie following. Basically a tired vampire flick. 1950's screen idol Ray Danton directs. BLUE SUNSHINE (1978) Stanford University radicals are bummed out when the acid they just swallowed fails to take effect. 10 years later they're middle class stiffs with homes and families and insurance premiums, and WHAM!, the supercharged, delay-reaction LSD goes full throttle. Paying homage to the Family's Yul Brenner phase, the victims lose all their hair, then go on a bloodlust/killing spree. Writer/director Jeff Leiberman creates a good atmosphere in this staple of late night TV. Leiberman also makes a terrific worm-conquest film called Squirm. Zalman King stars with Robert Walden (of TV's Lou Grant), Mark Goddard (Lost in Space, General Hospital), and Alice Ghostley (Bewitched). INVOCATION OF MY DEMON BROTHER (1969) An embryonic version of Lucifer Rising (1974/82), both made by Kenneth Anger. Bobby Beausoleil stars as Lucifer in this colorful fairy-tale set in the outer limits of ordinary narrative. In 1967, the footage for Lucifer Rising was stolen by Beausoleil; legend has it the film was handed over to Manson, who, with Beausoleil, proceeded to bury it in the desert. Shot in San Francisco; 11 minutes, music by Mick Jagger. MANSON FAMILY MOVIES (1984) The video box claims "The Manson Family has rumored to have filmed their activities. This is what those films, The Family movies, may have looked like." The key word here is may. Manson Family Movies is nothing more than poorly done super 8 that is almost unwatchable. Over quoted John Waters however, has this to say, "Manson Family Movies is a primitive, obsessional, fetishistic tribute to mayhem, murder and madness. Enough to appall even the most jaded VCR." The company that distributes this vid, AES-NIHIL carries many other Manson related items including audio tapes, video tapes, articles and interviews. AES-NIHIL Productions. THOU SHALL NOT KILL.... EXCEPT (1986) The best action feature based on the Manson murders, writer-producer Scott Spiegel, who co-wrote EVIL DEAD 2 mixes a little humor into it. Three Stooges antics meet great sleaze and gore. Directed by Josh Becker with Sami Raimi as the cult leader, Manson and his gang have to fight off a group of Rambo-esque marines just back from Vietnam. surely this is the most entertaining. Recently available on video from Prism Entertainment/Film World Distributors. Notice that the date of the article I posted is 1988. This was at a time when Squeaky had escaped from prison because she believed that Manson had testicular cancer. Steve Railsback did a GREAT job! But WHO was he playing? There was nothing Manson about him. 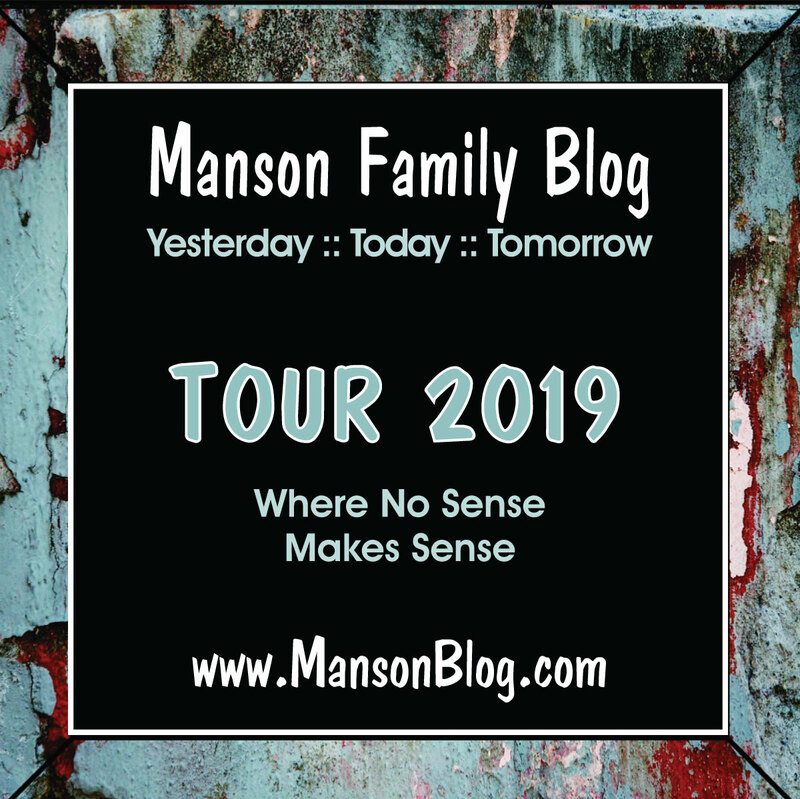 "Towards the end a miniscule excerpt from an interview with Manson by Jerry Rubin is added, if just to fulfill the title's promise." I'd really really like to see this interview in full. I've always wanted to know what these two talked about. I mean seriously, imagine this guy and Charlie talking. The amount of self-righteous egoism generated in that room would be more mind-bending for observers than dope, dig? That original HS movie with Steve Railsback scared the hell out of me when I saw it at home in the late 70's on a Saturday afternoon. I was about 9 and had a TV in my bedroom and watched the entire movie alone, unsupervised by anyone. After in ended, I went and told my Dad what I just watched and his only reaction was "Steve Railsback did a good job playing Manson" which would have been the end of the story except for the post traumatic stress syndrome I developed from it which continues to this day... and which causes me to be here instead of working. Although he's a great actor, railsback was Johnny-one-note in HS. Anyone who's seen the Manson interviews can see there wasn't a shred of him in railsback's performance. I now agree that Railsback's performance was pretty tone deaf. But that was my introduction into the world of TLB. I find with actual Manson interviews, that the quality of them is highly dependent on how ignorant and/or confrontational the interviewer is. An idiot interviewer usually brings out "Crazy" Charlie and the more thoughtful ones can elicit a subdued an even an articulate Manson, almost normal to a degree. Charlie's performances always seem to correspond to his audience, directly and indirectly. The interviews are, for the most part, different shades of Manson depending on the interviewer. He is a different character in most of 'em. Besides the once-in-a-blue-moon network TV primetime interview with Manson (and I cannot remember the last time that happened), the Railsback portrayal and the Bug book is how the general public perceives Manson and the case. And that will probably remain the same unless another filmmaker with serious bucks and clout raises the bar with something groundbreaking (which I presume many of us would hope with deal with the subject with actual facts and integrity and less sensationalism). I'm not holding my breath. William, there never has been an accurate portrayal of Manson. Although the remake of HS ('04) sucked, Jeremy Davies came closer to accurate than anyone ever has - still way off though. Mr groove, I believe there will be a worthy movie some day. I hope you're right Max! Maybe someday. I don't know what this movie has to do with The Manson story but it scared the hell out of me when I was a kid. I didn't get what that movie had to do with Manson either, Matt P. They dropped acid and had some time delayed, really nasty flashbacks. Must be the acid connection. The executive producer of Blue Sunshine was Edgar Lansbury, brother of Angela and uncle of DiDi Lansbury. If Farf had written about this it would have been much more entertaining! I saw the Helter Skelter movie on tv when I was VERY little. It had to have been 1982 or so. I HATED the chick that played Susan Atkins. Do you know why? Her F*CKING eyebrows! Yes, you are reading this correctly. Her eyebrows had like 3 inches of space between them. Also, I hated the chick that played Leslie Van Houten. She was such a smartass, that I wanted to jump inside the tv at my grandmother's house, and slap her. I was only 8 too! That is how much I hated this movie!